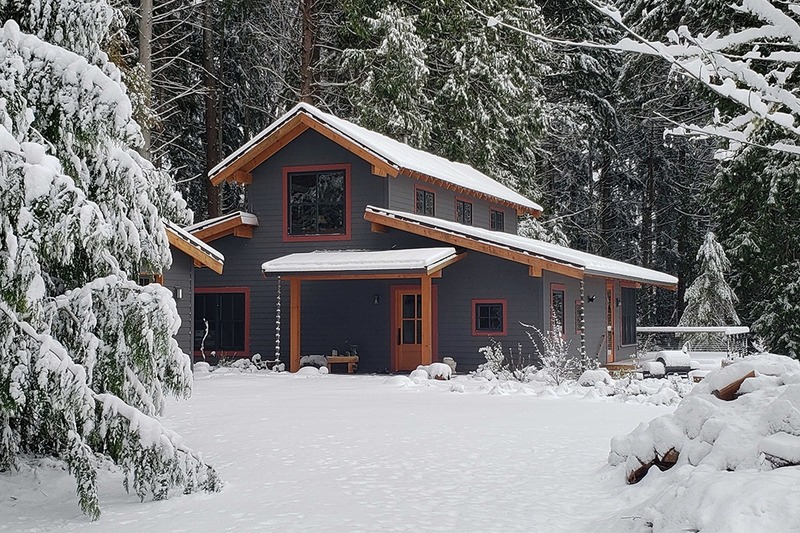 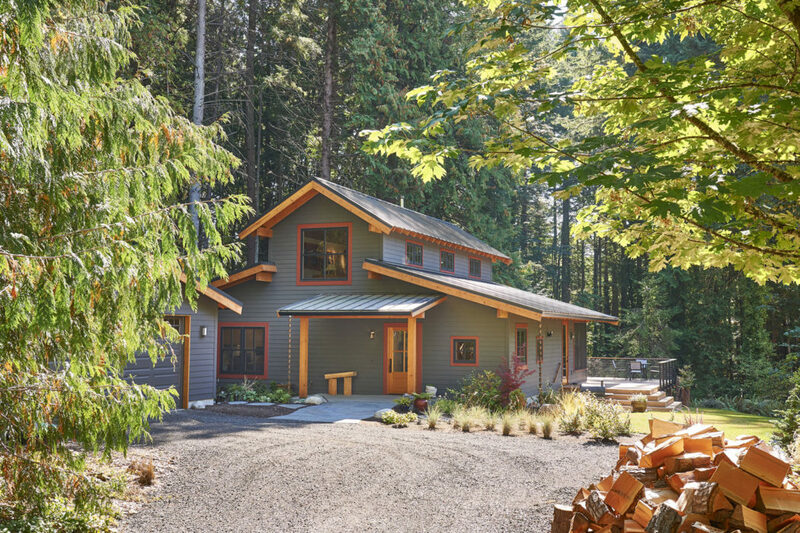 Fulfilling a lifelong dream of building a home on their family’s land, our clients have recently moved in to their new home in the woods, surrounded by tall firs, fern glades and birdsong. 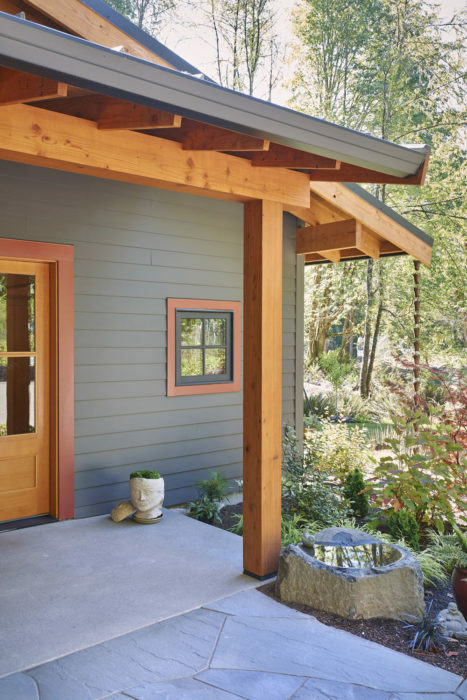 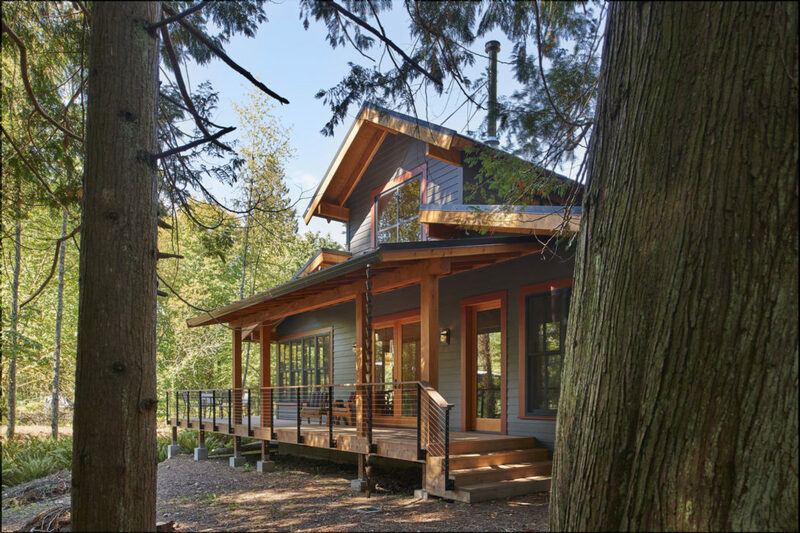 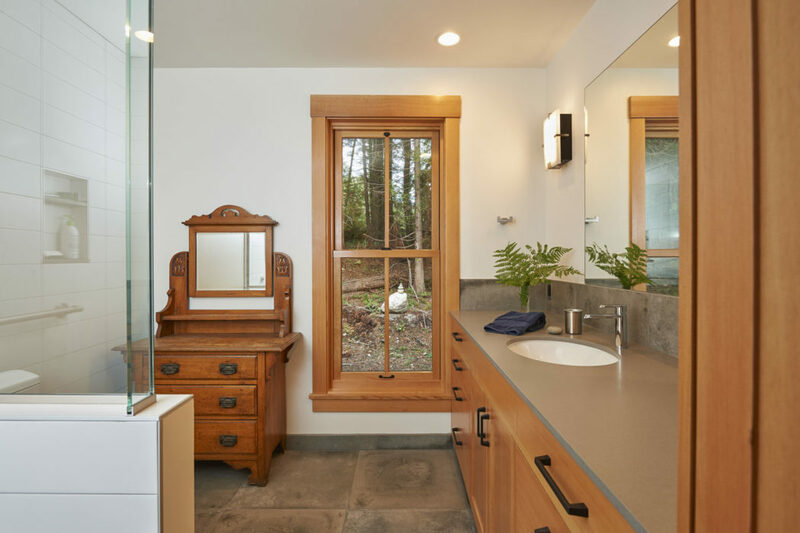 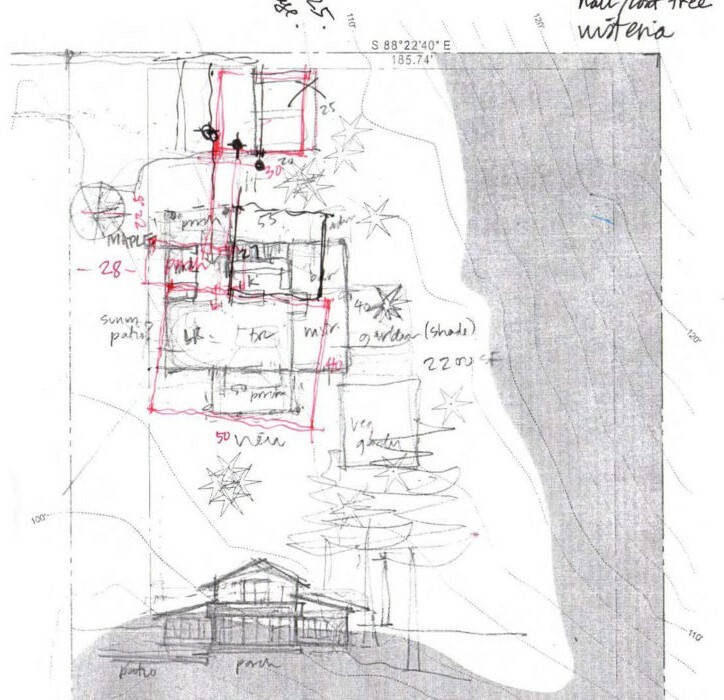 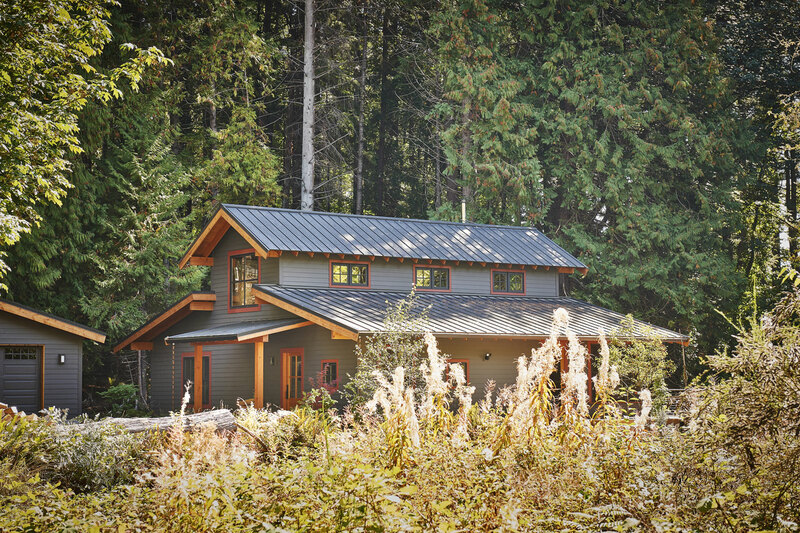 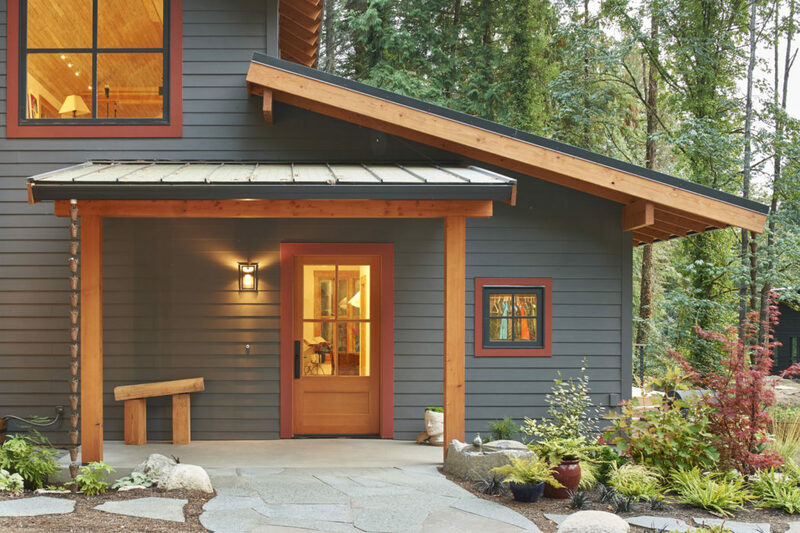 This is an intentionally small, simple house, drawing on Bainbridge Island historical references: simple farm structures, Japanese rural dwelling influences due to that unique aspect of the island’s history, and including the warmth and connection to nature that Craftsman architectural elements can offer. 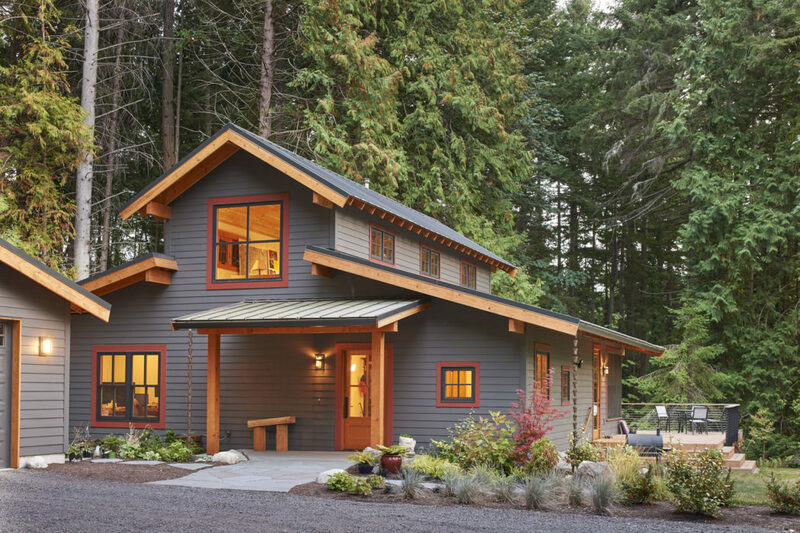 Now that they are retired, this home is a “down-size”. 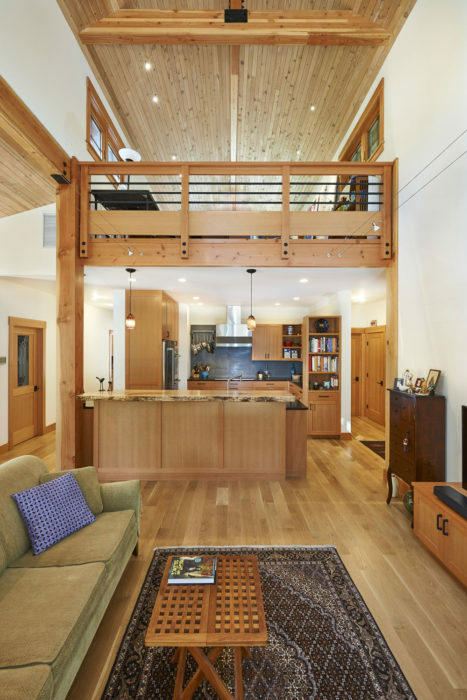 With only 2200sf, all living spaces are open and connected. 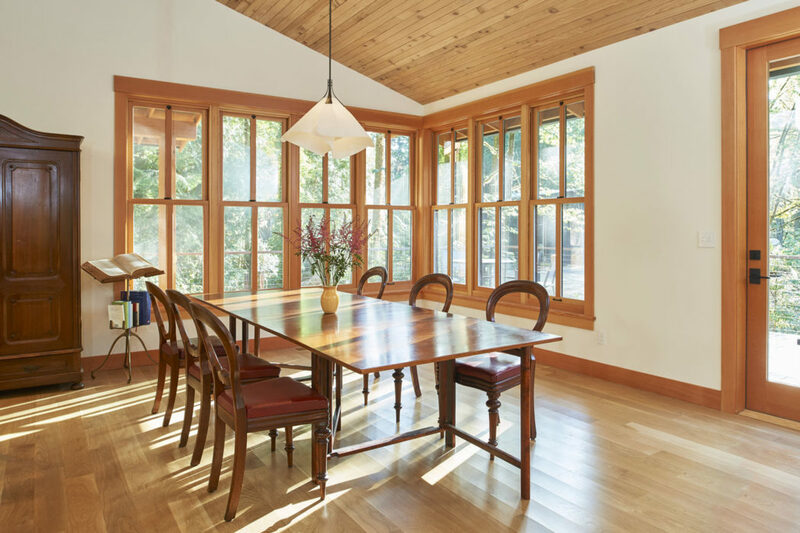 On the main floor is a master suite as well as an additional bedroom and bath to accommodate visitors. 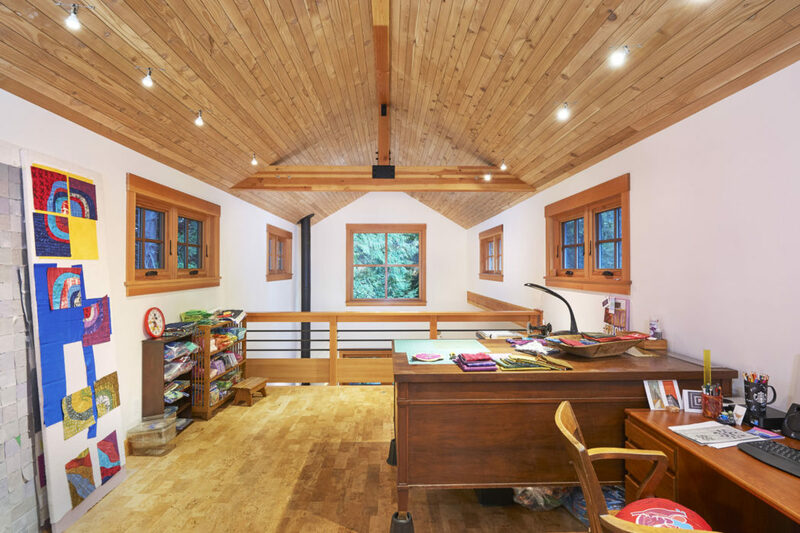 A second floor loft doubles as a quilting workspace and future grandchildren’s sleeping loft. 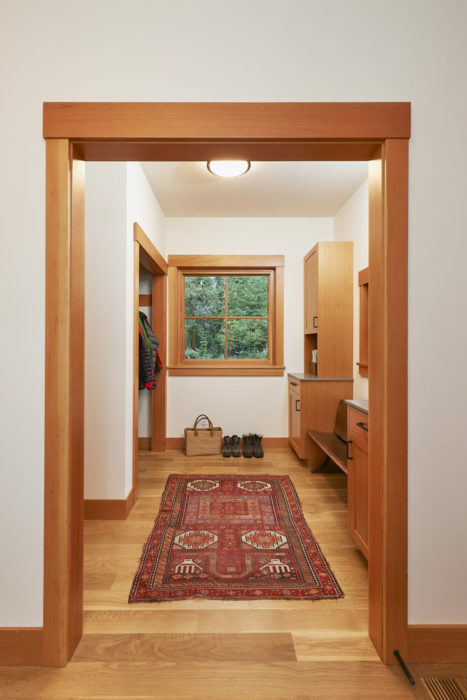 Generous attention has been paid to storage and mudroom spaces due to the reality of country living! 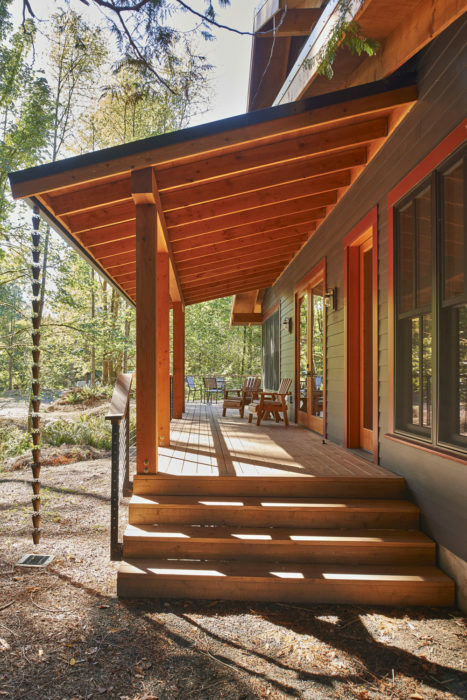 The house has been designed so that the owners can “age in place” with wide corridors and doorways, a one-floor living area, and an abundance of natural light. 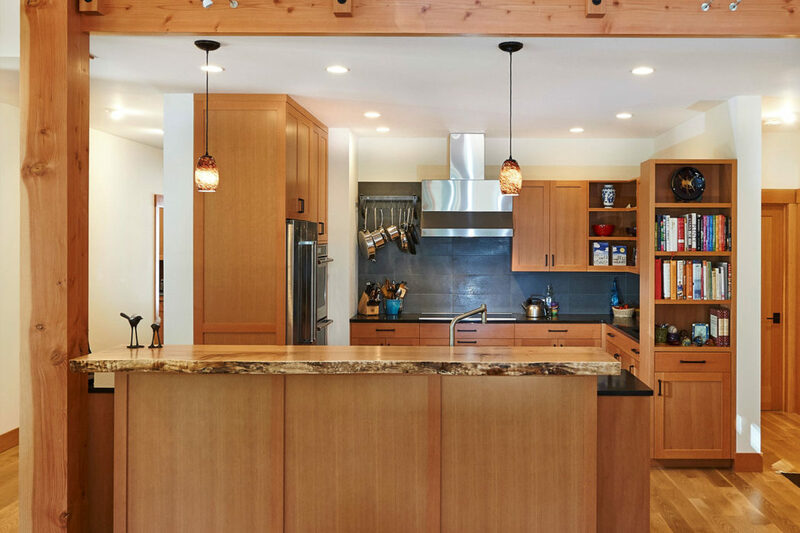 The interior finishes consist of a simple palette of natural materials. 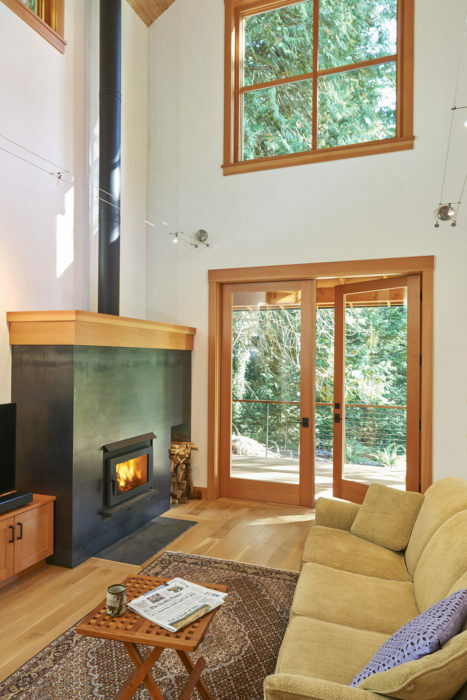 The dramatic posts supporting the loft, the cedar ceiling, and the live-edge bar-top all come from the couple of trees that were felled to create a little space in the woods for this much-loved home. 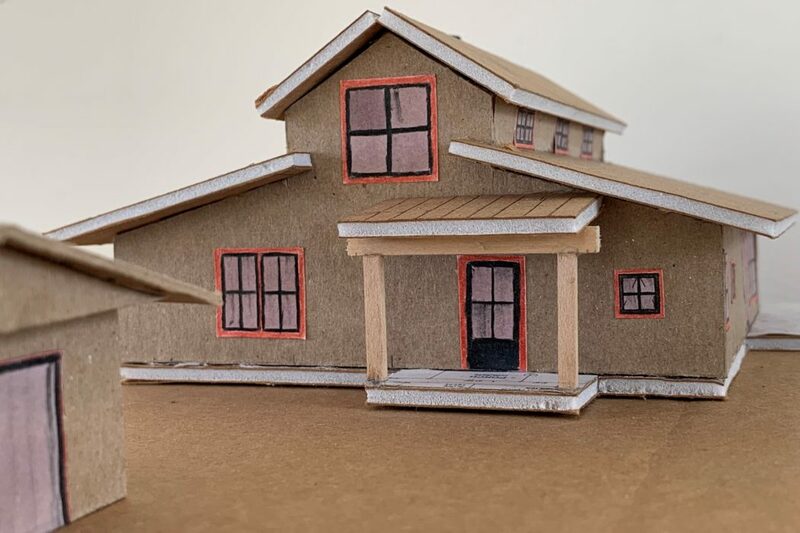 Model by young Jack Campbell, 14 y.o.